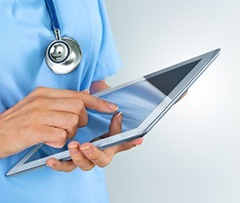 Medical offices and facilities have specific IT needs, especially about server requirements. Your facility's server is the nerve center of your entire computer system. Medical facilities need to include a specified domain that is in compliance with logging, account restrictions and control. Usually, a full Windows Server solution works best for meeting the needs of managing and running a medical facility domain. Whatever your individual needs may be, Computer Corner will create a hardware system to satisfy your most discriminating requirements at prices that fit your budget, and your investment is continually protected. Ready for some expert help from Computer Corner? Just fill out the below contact form or call us at (352) 460-1155 and schedule your FREE ON-SITE MEDICAL COMPUTER IT CONSULTATION and see how we can keep your tech running!